The finance minister announced the I-T department’s upcoming project wherein the ITRs would be processed within 24 hours and refunds, if any, will be issued simultaneously. Further, it was declared that verification and assessment of ITRs will be done electronically by an anonymised back office consisting of tax experts and officials. 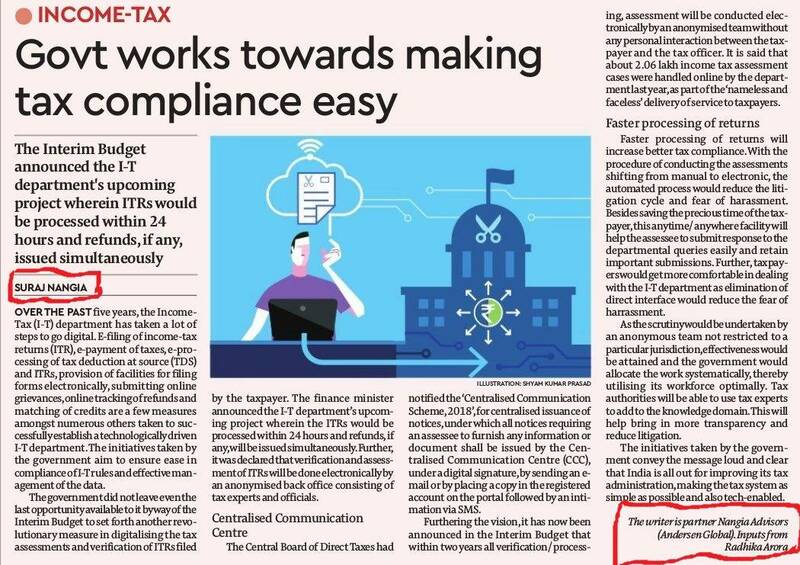 Suraj Nangia, Partner with inputs from Radhika Arora contributed an article on Budget 2019: Govt makes income tax compliance easy by processing refund in 24 hours for Financial Express.